is a large auk. 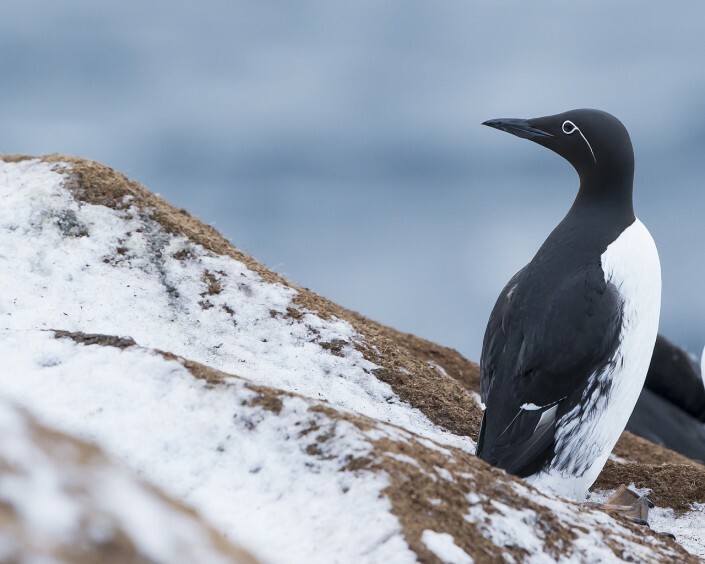 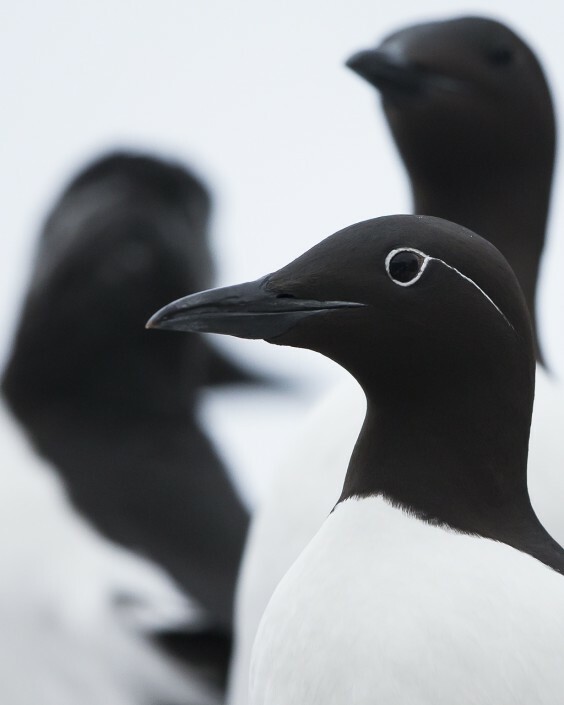 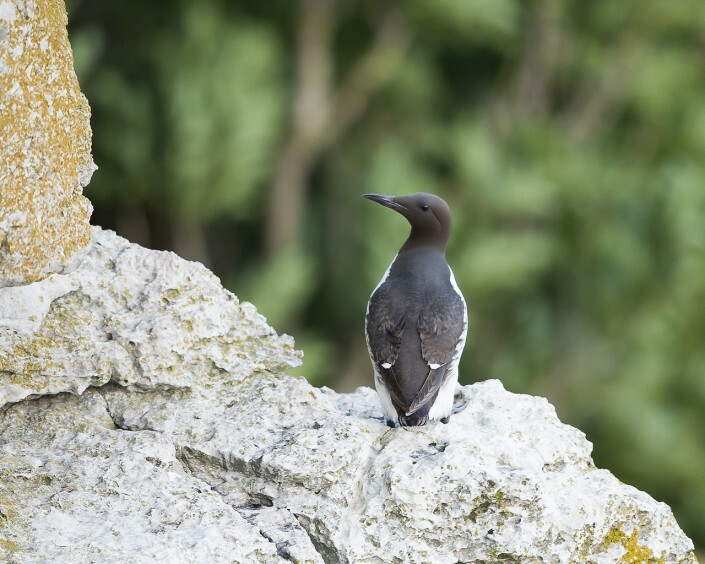 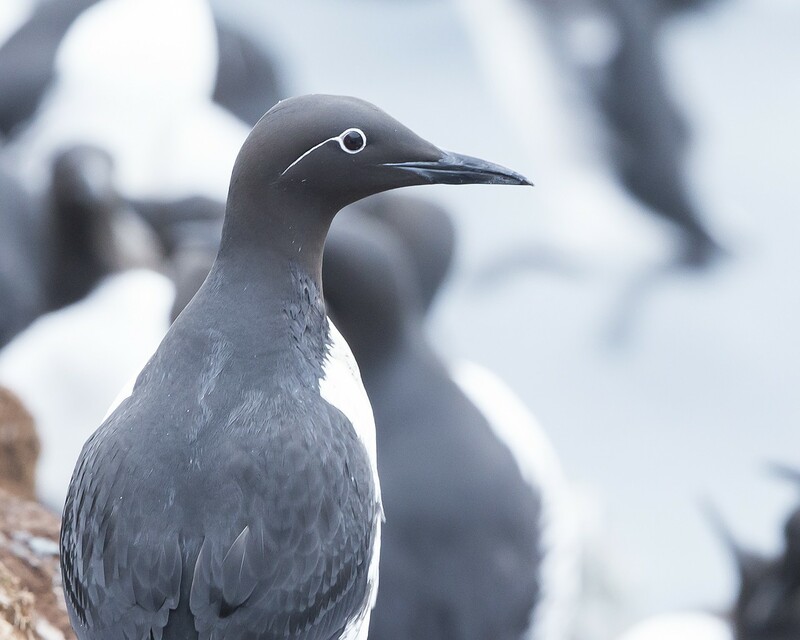 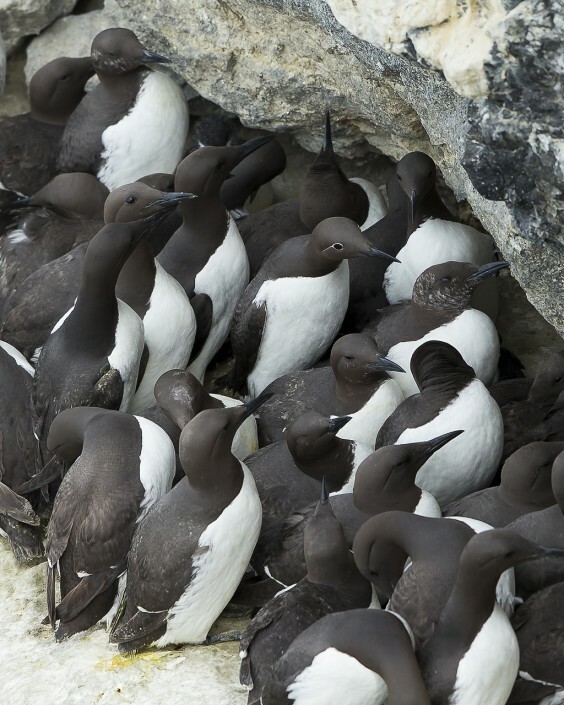 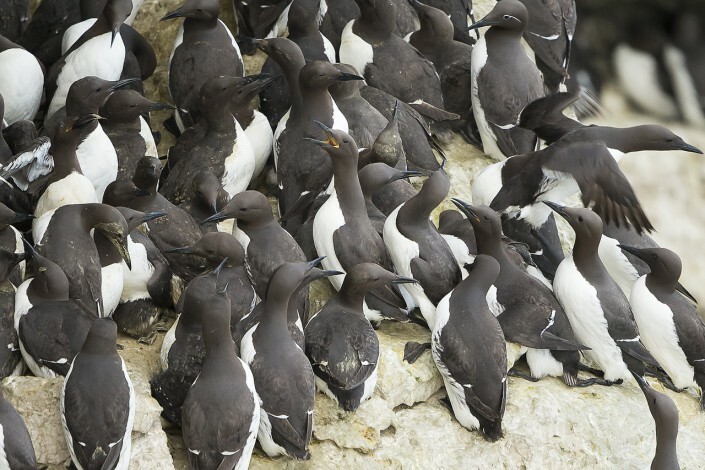 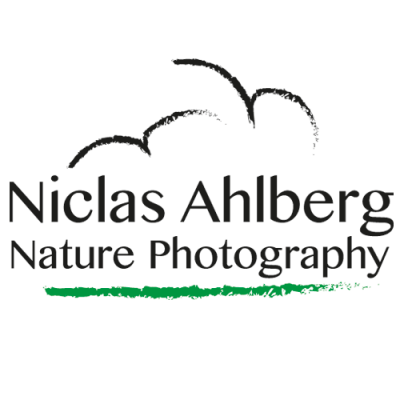 It is also known as the thin-billed murre in North America. It has a circumpolar distribution, occurring in low-Arctic and boreal waters in the North-Atlantic and North Pacific. 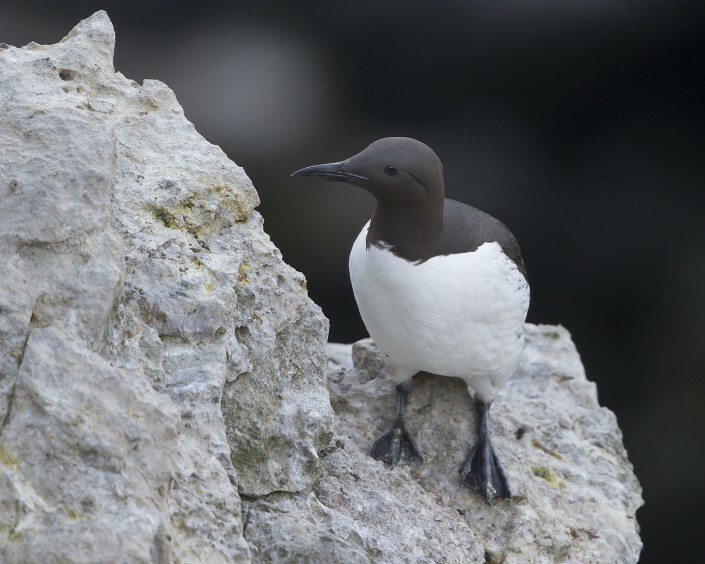 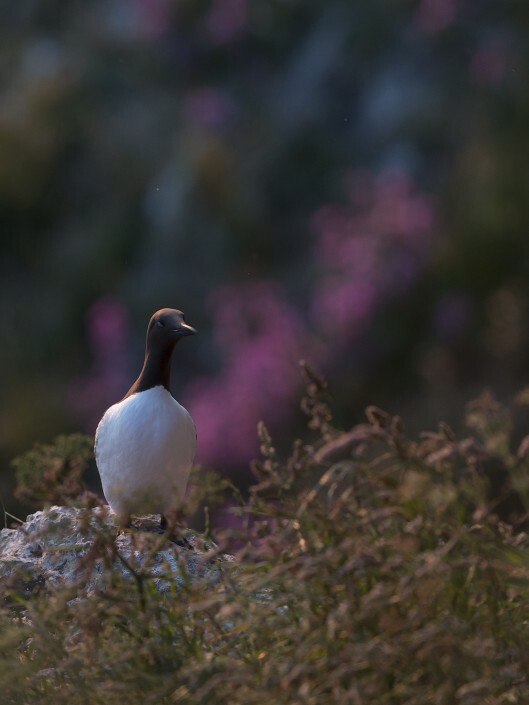 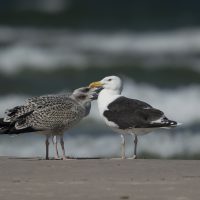 It spends most of its time at sea, only coming to land to breed on rocky cliff shores or islands. 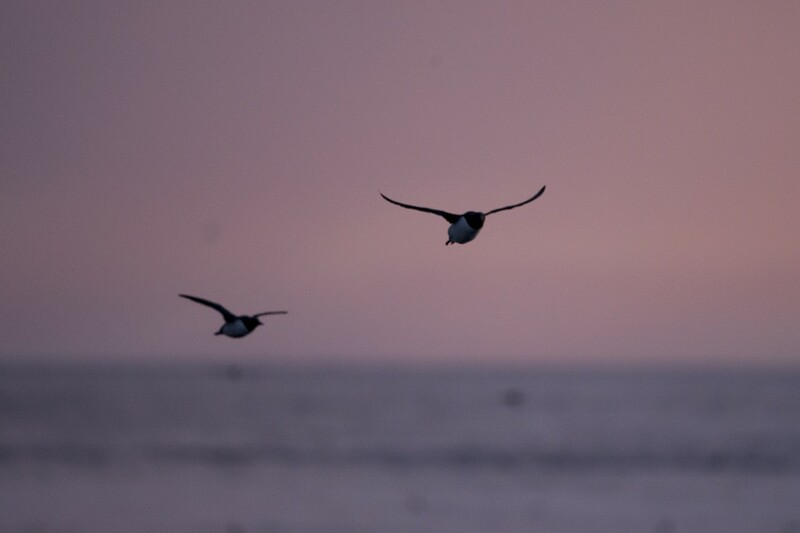 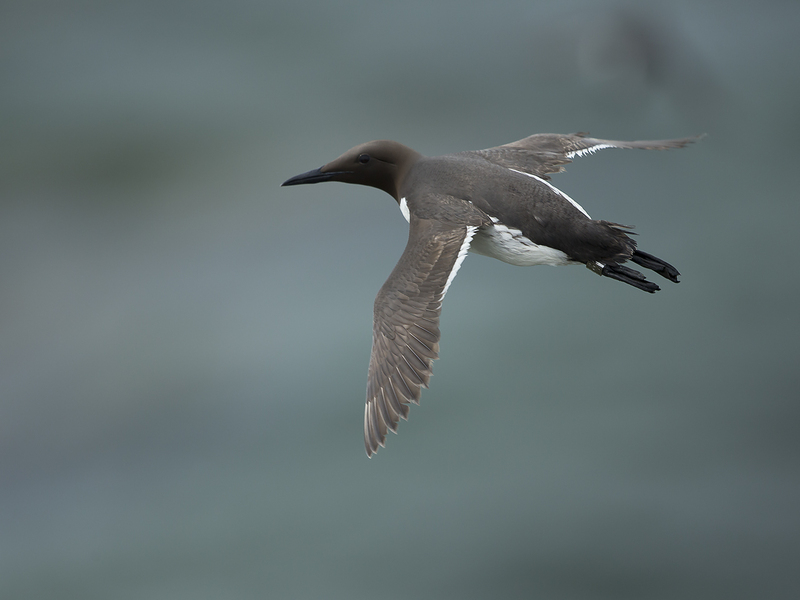 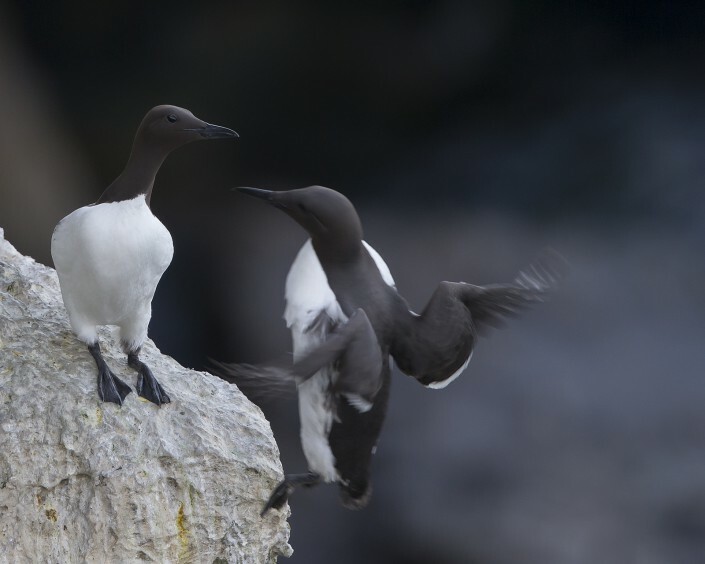 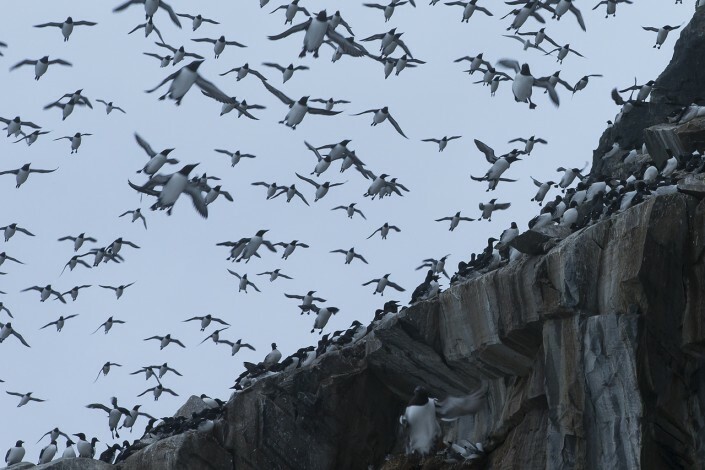 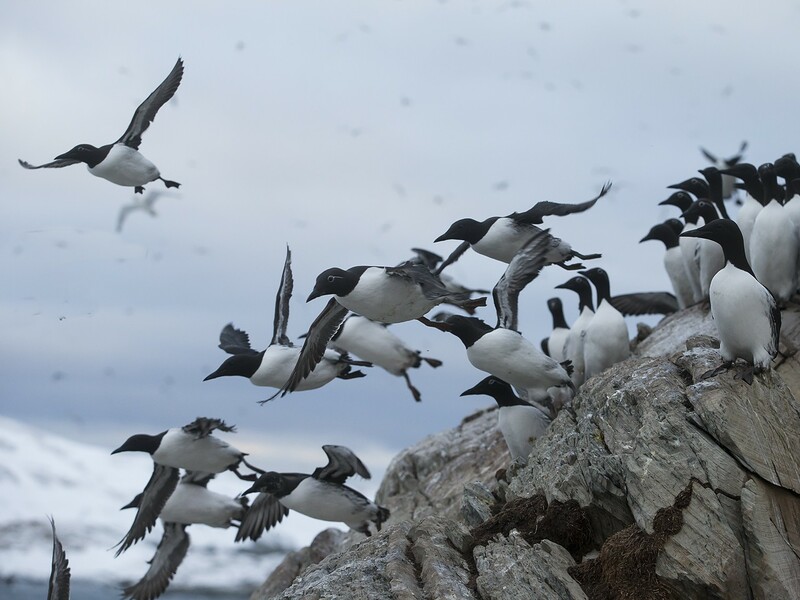 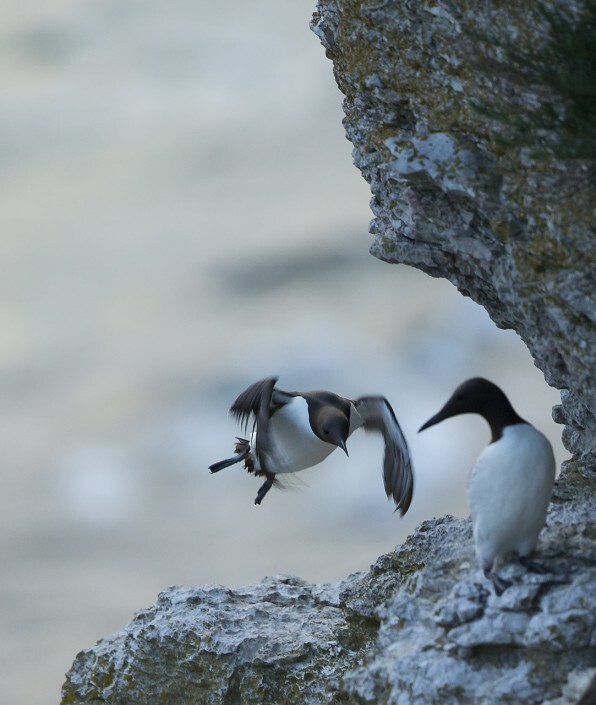 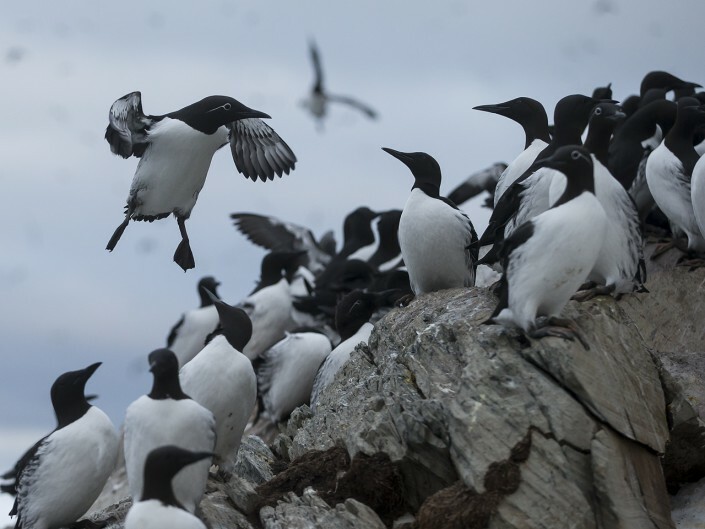 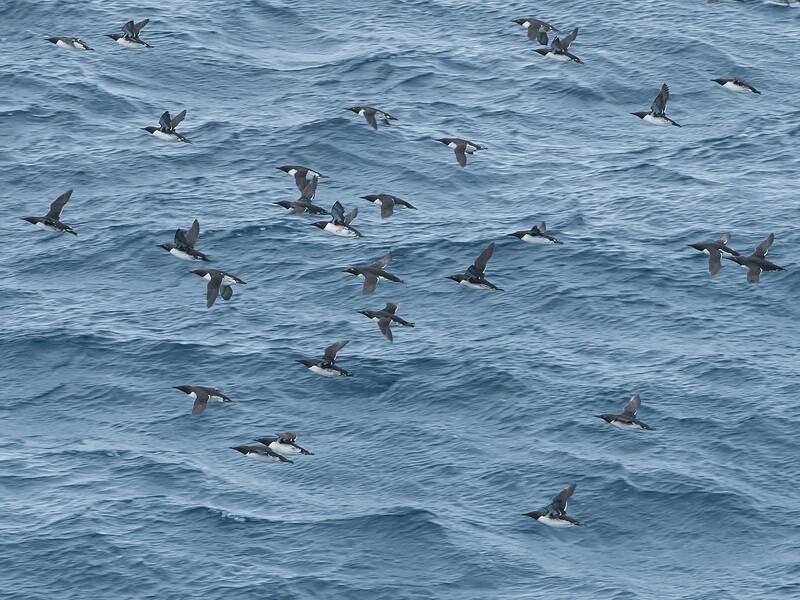 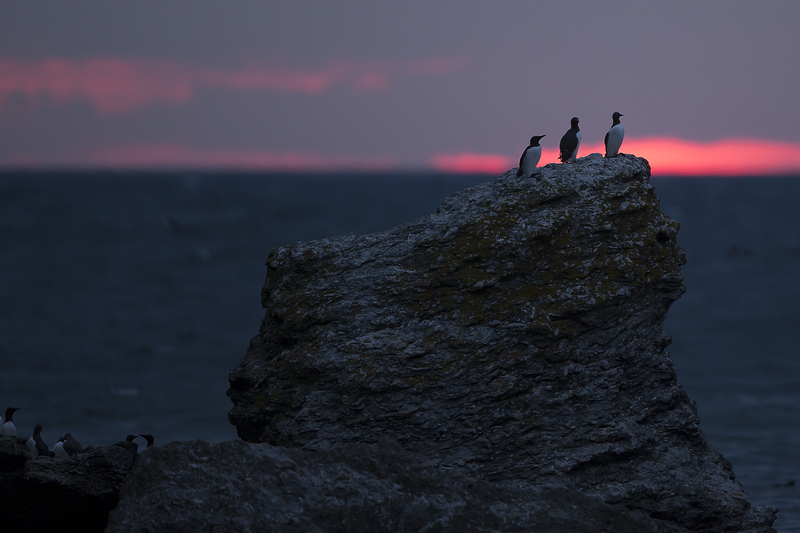 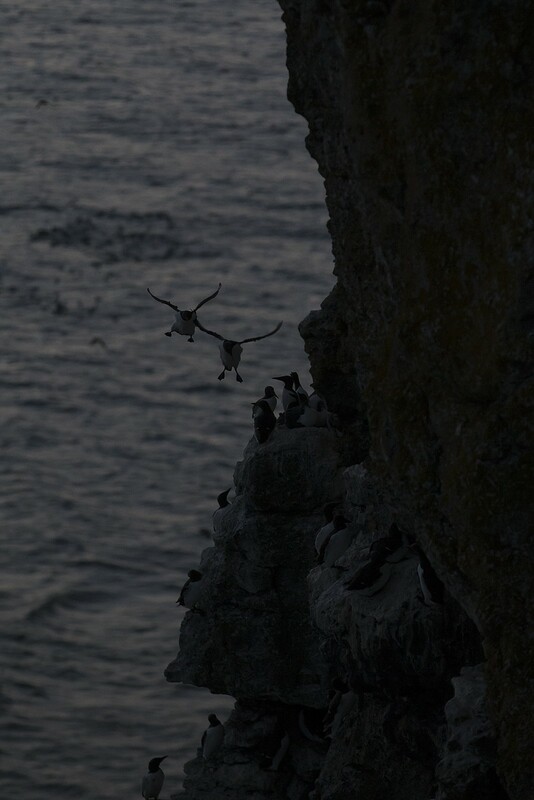 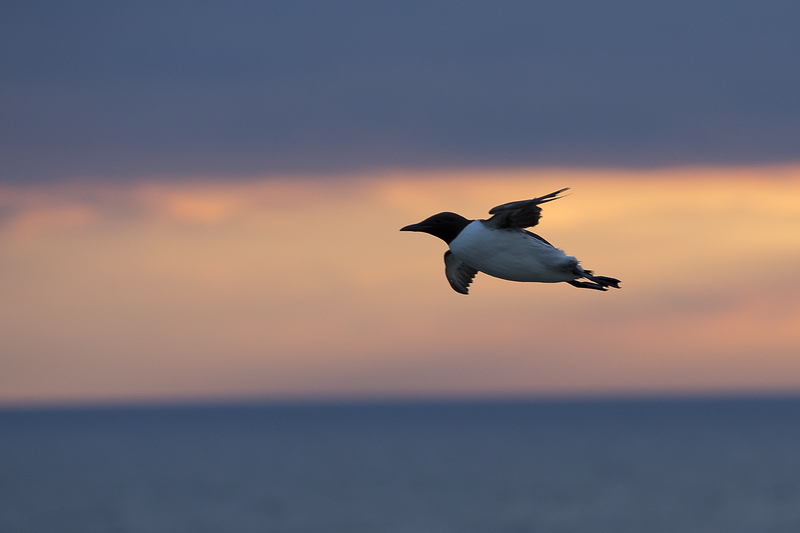 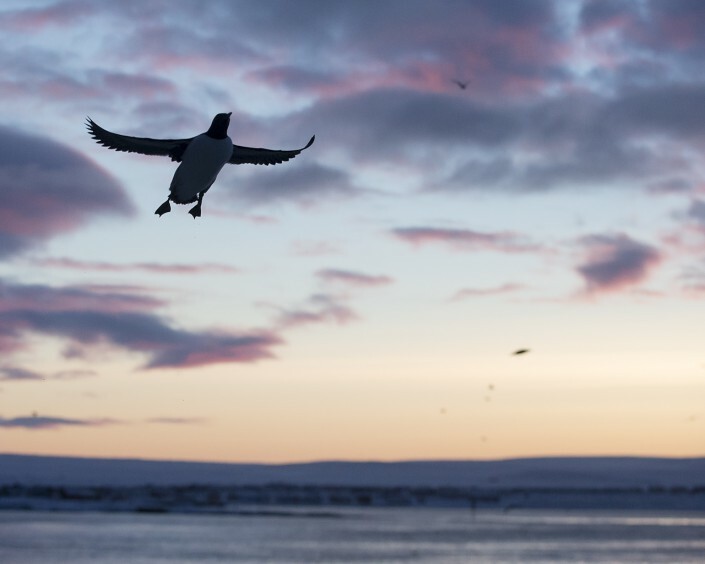 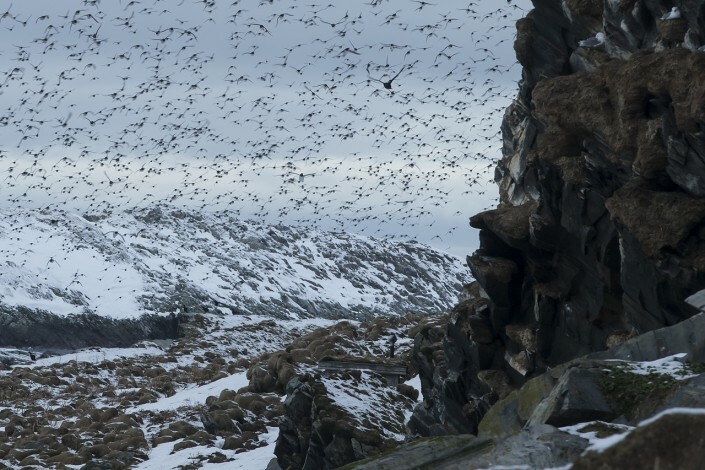 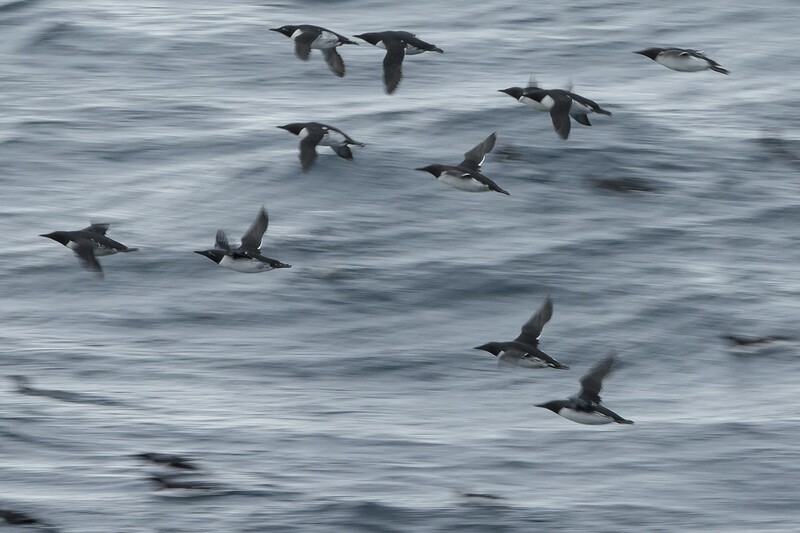 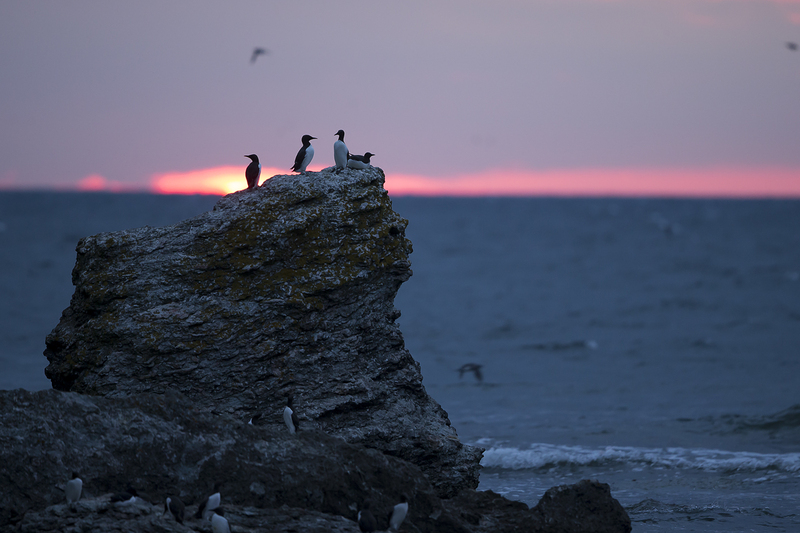 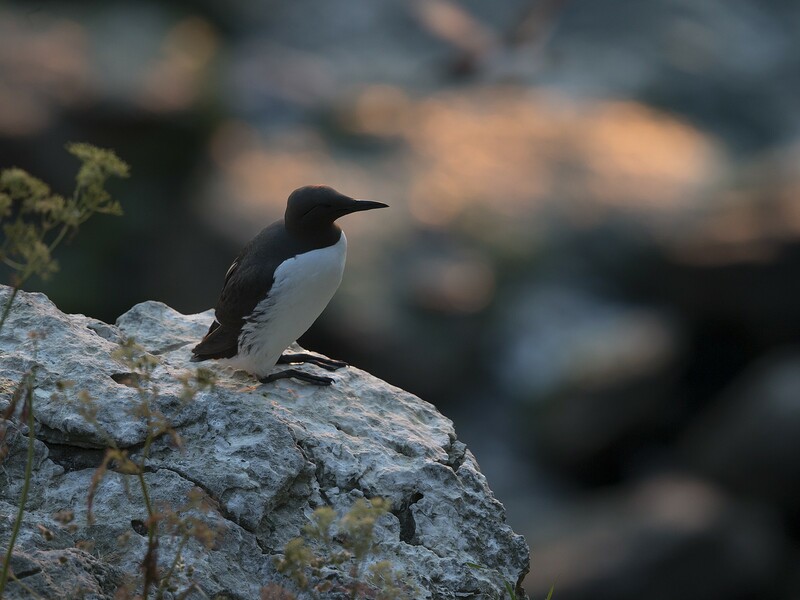 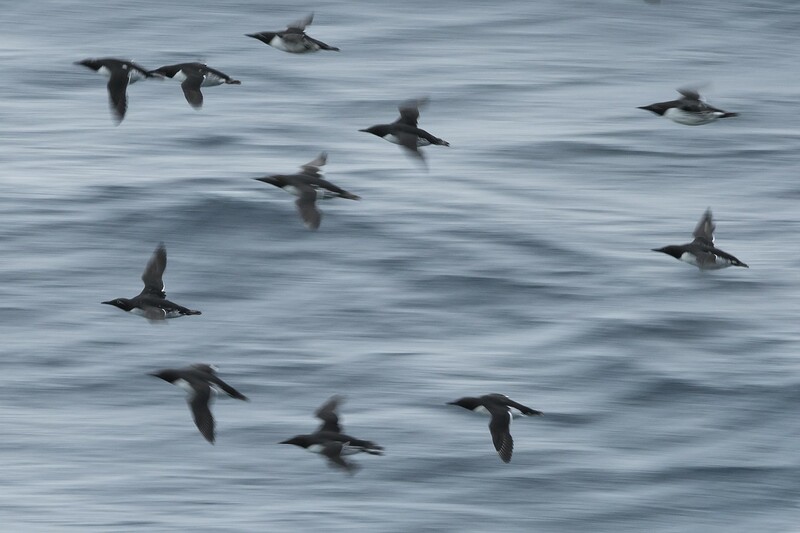 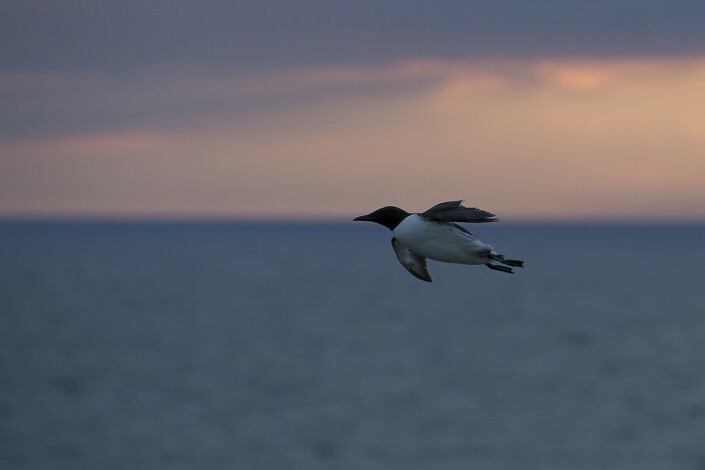 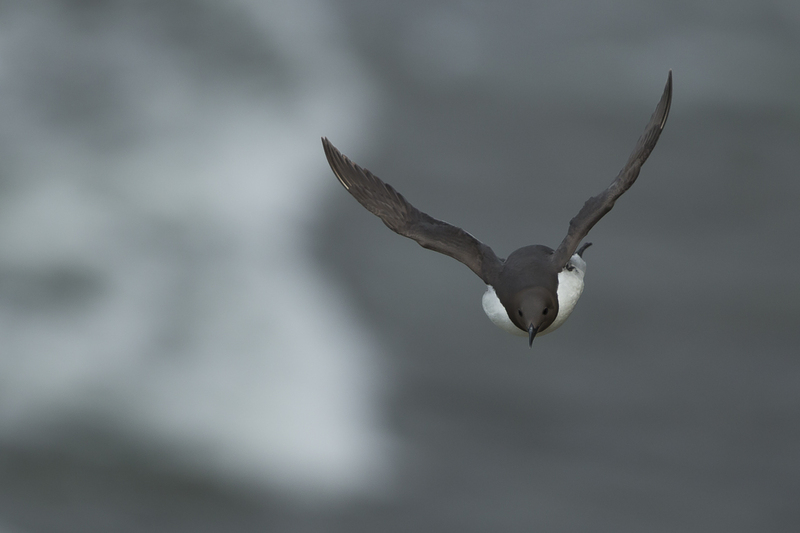 Common murres have fast direct flight but are not very agile. 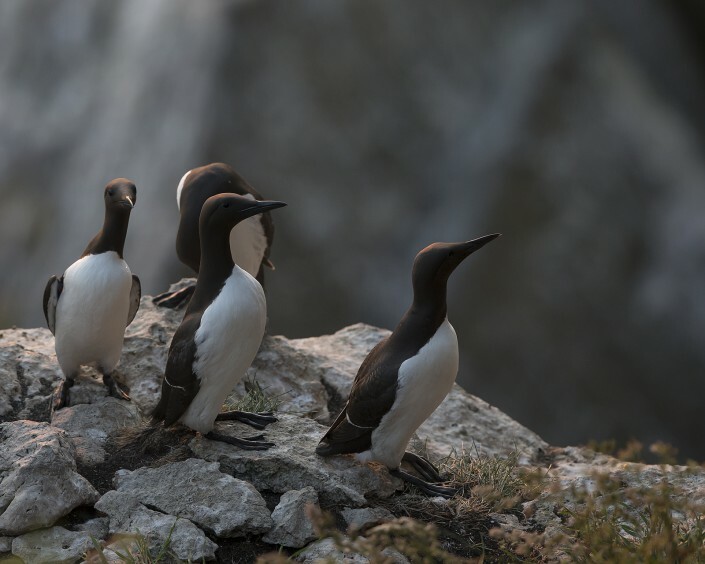 They are more manoeuvrable underwater, typically diving to depths of 30–60 m (98–197 ft), and depths of up to 180 m (590 ft) have been recorded. 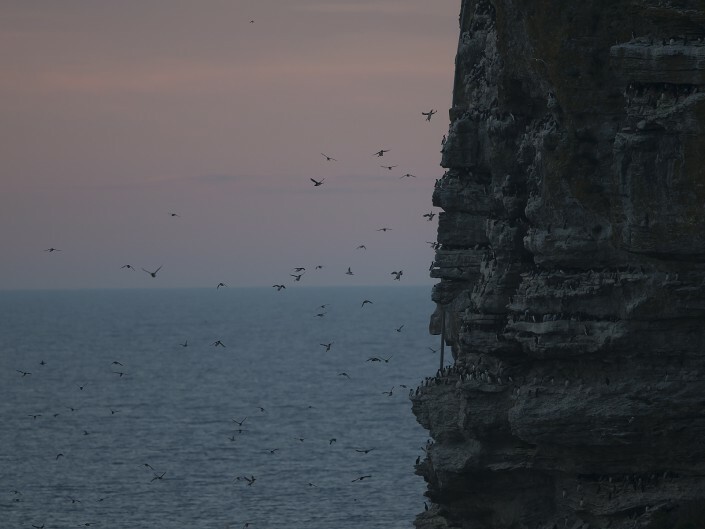 Here’s a short clip from Stora Karlsö, Gotland, Sweden.